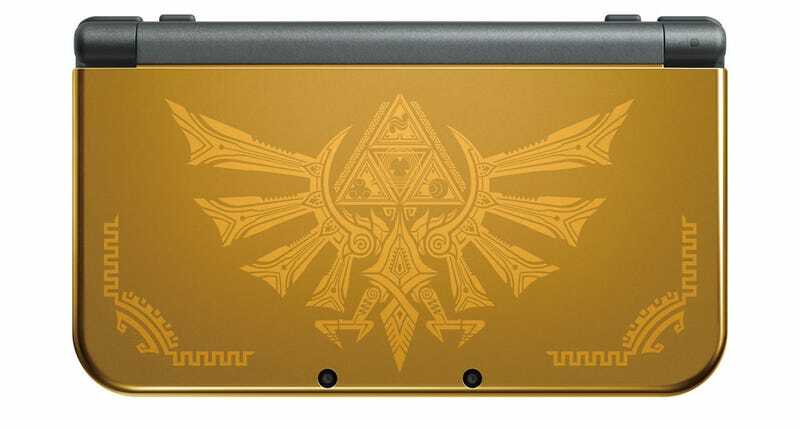 That New 3DS is cool and all and Imma let you finish but... Hyrule Gold New 3DS XL! Guess this flew under the radar with all the “excitement” (pfft) about the little New 3DS being released in North America. For those of us with giant meat paws, however, there is a new New (sigh) 3DS XL coming out that has that “resell me for $600 around the holidays” “super unique rare paint job we all love with the Zelda theme we all go bananas for”. I present to you all, the one, the only... the Hyrule Gold New 3DS XL! If you want one, you should probably jump on this fast. I have a strong feeling it’s not going to be another of these “common” special 3DS XL models.